2019-02-07 geographyAmusing Planet, animals, geography, Historical Oddities, society, usaM.C. 2019-02-04 geographyAmusing Planet, animals, geography, Natural Wonders, societyM.C. Hollywood horror movie monsters and aliens aren’t complete without loads of repulsive slime, mucous and saliva dripping from their mouths. But this image of a car drenched in white gelatinous mess is not a scene from a movie set. 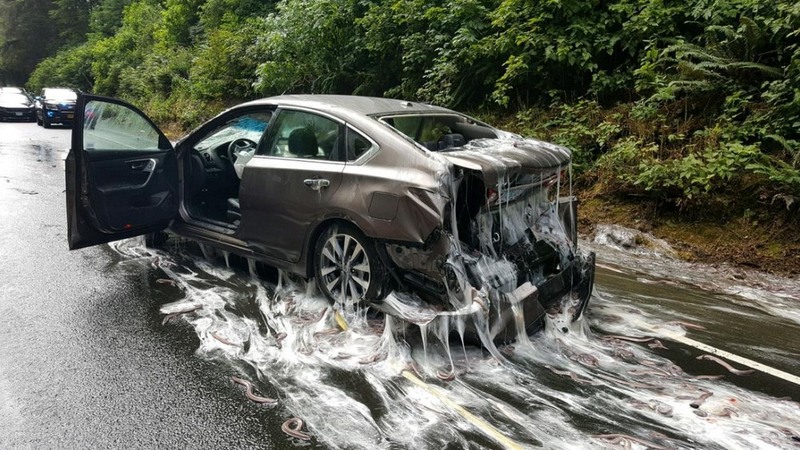 The sticky situation was created in 2017 on an Oregon (USA) highway when a truck carrying live hagfish overturned and covered passing cars in slime. 2018-10-30 geographyAmusing Planet, animals, canal, England, geography, Netherlands, societyM.C. Before diesel and electric engines made sailing convenient, boats and barges had to be either rowed or pulled. In many European countries such as the Netherlands and the UK, and to some extent in France, Germany, and Belgium, horse-drawn boats were common. Horses and sometimes mules and donkeys would walk along the canal on a towpath pulling behind a small tow-boat loaded with goods or passengers. Because the cargo moves on water, friction is minimal, allowing the horse to pull fifty times as much weight as it could pull in a traditional cart on road. 2018-05-23 Designanimals, design, Designer, leather, Mashable, Mashable VideoM.C. 2018-04-02 geographyAmusing Planet, animals, geography, Historical Oddities, myanmar, societyM.C. That night was the most horrible that any member of the motor launch crews ever experienced. The scattered rifle shots in the pitch black swamp punctured by the screams of wounded men crushed in the jaws of huge reptiles, and the blurred worrying sound of spinning crocodiles made a cacophony of hell that has rarely been duplicated on earth. At dawn the vultures arrived to clean up what the crocodiles had left…. Of about one thousand Japanese soldiers that entered the swamps of Ramree, only about twenty were found alive. 2018-02-15 geographyAmusing Planet, animals, Curious Objects, geography, Historical Oddities, societyM.C. On a cold January morning in 2005, in the village of Saru in southern Estonia, farmer Rein Kıiv and his son made a curious discovery. 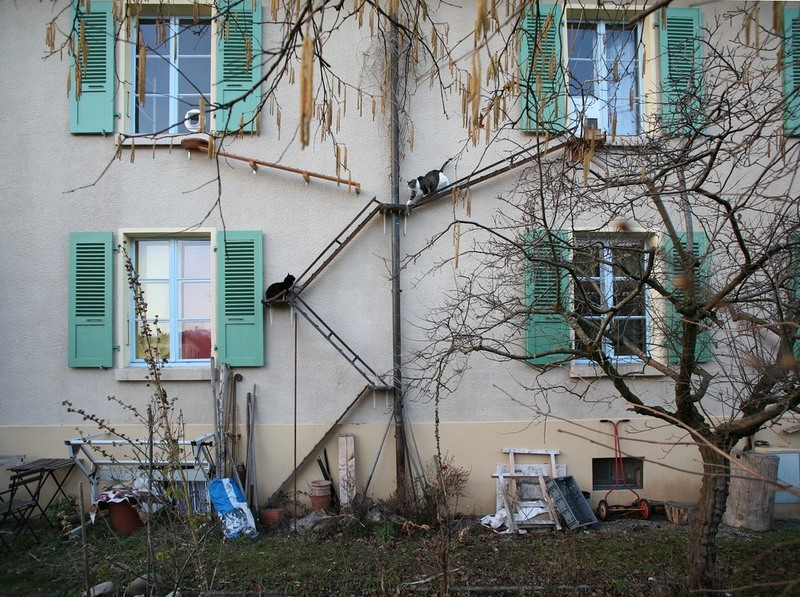 On the sandy floor of their shed, they found a cluster of 16 rats with their tails inexplicably tangled into a knot. The rats were squeaking and struggling to escape but the harder they pulled the tighter the knot became. The animals were apparently trying to dig themselves out of a narrow burrow but in the struggle some of them got buried under the sand. Seven of the rats in the tangle were already dead. Rein’s son decided to put the diabolic little scene to an end, and picking up a stick, killed the rest of the wretched animals. 2018-01-08 geographyAmusing Planet, animals, geography, landmarks, Memorial, Science & Research, societyM.C. 2017-04-24 geographyAmusing Planet, animals, geography, Natural Wonders, societyM.C. Across northern South America, there are hundreds of colossal tunnels large enough for humans to walk through, but they weren’t dug by men. Nor they were formed by any known geological process. But their creators have left evidence all around the walls and ceilings—giant claw marks. Geologists call these tunnels “paleoburrow,” and they are believed to have been dug by an extinct species of giant ground sloth.